If lush, green grass is your main goal, you need an irrigation system. But what happens when that irrigation system fails in some way? You need someone you trust to repair it – and quickly. Because there are so many expensive and sensitive parts to think about, you can’t rely on just anyone to work on your irrigation system. You need Commercial Irrigation & Turf, proud to be your leader in irrigation repair throughout Central Illinois. 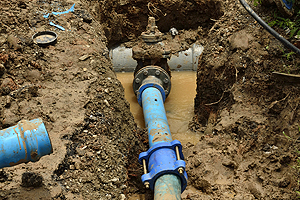 Our contractors can provide skilled irrigation repair Peoria IL needs for continued lush grass. With 30 years of experience, you know we deliver on promises of excellence. 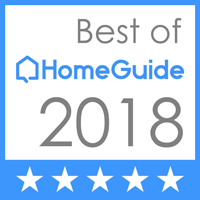 Servicing all of Peoria, as well as Pekin, Galesburg, Bloomington, East Peoria, Champaign and surrounding areas, Commercial Irrigation & Turf is your #1 destination for irrigation repair. 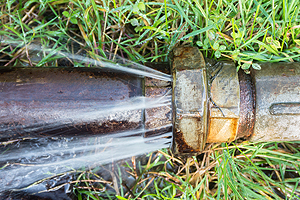 Not only is irrigation repair imperative when it comes to fixing immediate problems, it’s also necessary to improve water run-off and conserve water. This will allow you to achieve a well-maintained landscape. Through the use of application-specific tools and machinery, we can streamline the installation and repair process. Commercial Irrigation and Turf gives you a full warranty for your peace of mind. Our highly-trained professionals provide assurances of hands-on training in all aspects of the installation and construction process. So, let us guide you through every step of your project to ensure you get top value for your investment. If you would like to obtain prices and details on our irrigation repair services in Peoria IL, call Commercial Turf & Irrigation today at 309-698-3011. Alternatively, you can fill out our online form or visit us in East Peoria at 109 Commercial Drive.